Nautilus Elementary is perhaps one of the most talked about projects in the Linux world last year. Later in the year 2010 though, Nautilus Elementary project was discontinued and the developers decided to concentrate on an entirely new file browser project called Marlin, which will eventually find its place in upcoming Elementary OS project. But hold on, they have now decided to restart the Nautilus Elementary project and PPA's have been updated already for both Ubuntu 10.10 Maverick and Ubuntu 11.04 Natty. Why Nautilus Elementary Project was Revived? As Nautilus Elementary's main developer ammonkey puts it, "Like many other distributions, Ubuntu Natty won't support gtk3 and the gnome3 stack without adding external/testing repositories. Since gtk3 dropped the rc format, only one gtk engine is ready for gtk3 (clearlook) and one gtk theme (adwaita). Without proper theming there's no point rushing to gtk3/gnome3 so gtk2/gnome2 still has some nice months ahead before a progressive transition." "Considering the context and to provide the best experience for Jupiter, I decided to re-activate the nautilus-elementary project. 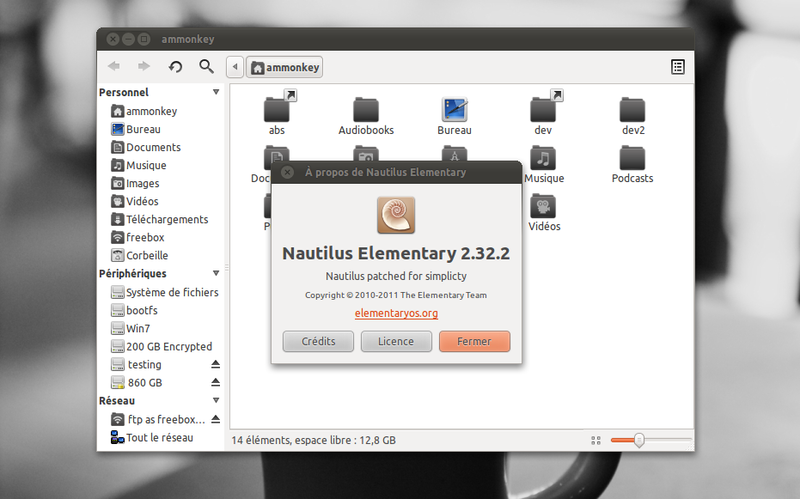 A special up-to-date version of nautilus-elementary will be released soon." Please note that the latest Nautilus Elementary 2.32.2 update does not contain any new features. It is primarily a bug fix release. Read the rest of his blog entry here. 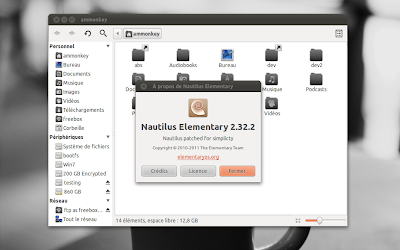 How to Install Nautilus Elementary 2.32.2 in Ubuntu Maverick, Natty? Do the following in Terminal. Done. Nautilus Elementary is now up and running. Now if you would like to take a look at the feature list Nautilus Elementary brings with it, read our previous Nautilus Elementary in Ubuntu Maverick review. Meanwhile, you might also want to check this collection of not so common Nautilus hacks and improvements as well.